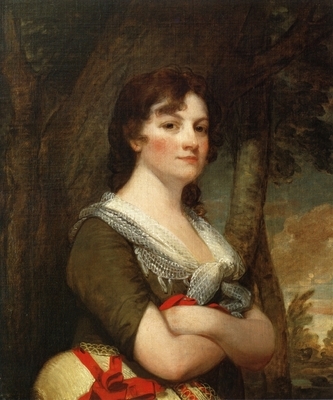 Portrait of Elizabeth Parke Custis Law. 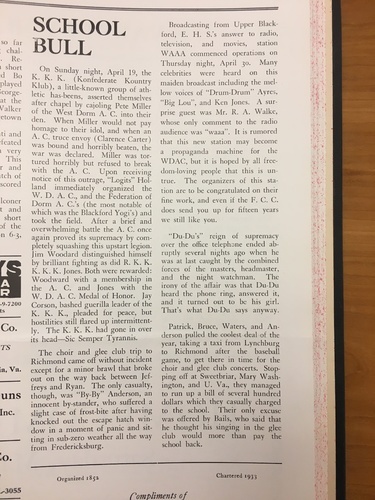 The student led club known as the "K. K. K." causes controversy when another student refused to partake in the initiation of the club. 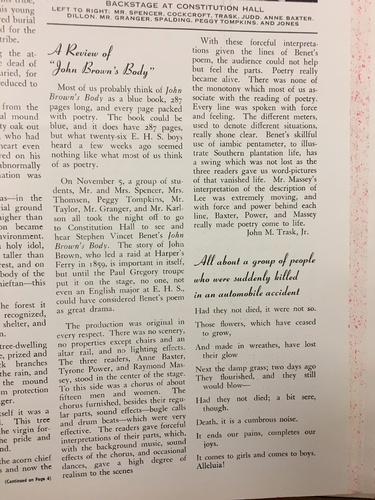 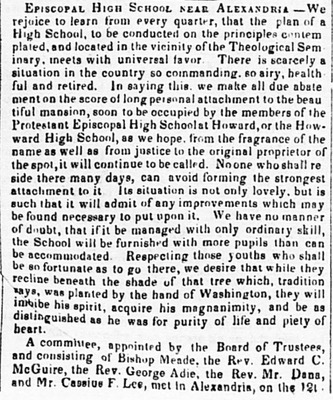 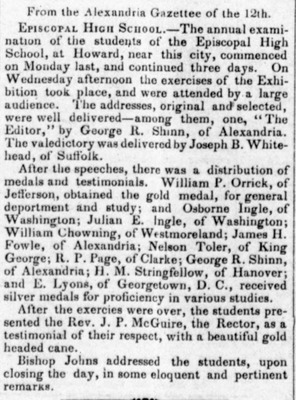 This was a review of the poem and performance of "John Brown's Body", which a group of Episcopal students went to see at Constitutional Hall. 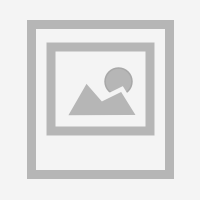 A cartoon of a prehistoric cave-person banging on a drum. 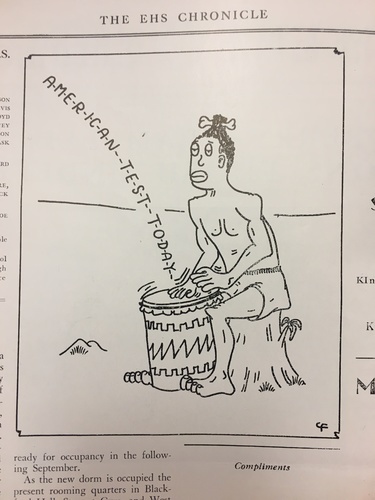 The cartoon says "A-M-E-R-I-C-A-N--T-E-S-T--T-O-D-A-Y--"
Student article exposing the fascist regime infiltrating the rightist movement of student led clubs of EHS. 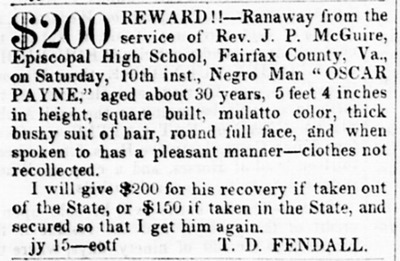 Created for entertainment.